Benchmade Knives has shipped their Nimravus Cub, which is generally a combat knife, as a beautiful, limited edition, elegant sheath knife. This knife is really attractive with Aluminum Bronze bolsters and top quality wood handles. Kershaw Knives has released plenty of their BLUR models through the years. They have been released with a myriad of blade steels and handle colors and we love the fact that our customers have such a great variety to choose from. 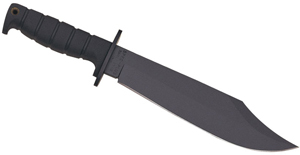 They have finally released a ZDP-189 steel blade model and it’s great. The BLUR ZDP has a dark brown handle and the blade is a composite and so there is a jigsaw puzzle-like line where the softer steel meets the super hard ZDP. 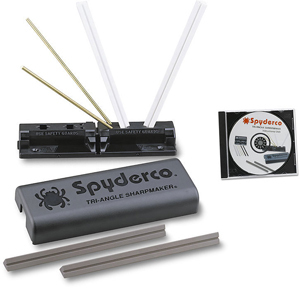 The BLUR handles have a rubbery insert for better traction in wet environments. The orange handle model features 154CM stainless steel which is also a premium material. The orange color is also distinctive. Darrel Ralph is about our favorite knife designer. The knives have great style. 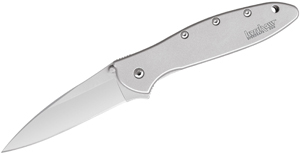 These MAXQ knives are the Mid-tech version of the others we sell, but they really shine. The fit and finish are perfect and the materials are first rate. We have a new email blast with our best selling items. Tool Logic makes great products. They offer lights and several credit card size tools. This new pliers/knife combination is really pretty awesome. It has some of the best features we have seen on the market. It doesn’t come as cheap as some of their other products, but it is feature rich.